Car 3 : Project Bob or Project Tubby? 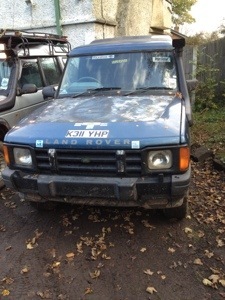 Out of bordom our friend has decided to join in with a land rover project as he is feeling left out. 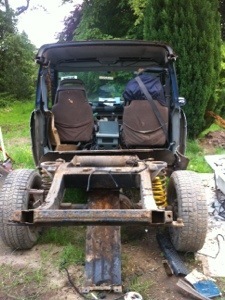 So with his old discovery the question is do we bob or tub the car with a defender tub. This entry was posted in Uncategorized on June 24, 2013 by landyrebuilds. well to do it nicely i think a bit too much has been cut back, so may end up being a shortened body with a tray back on it. I look forward to progress pics.